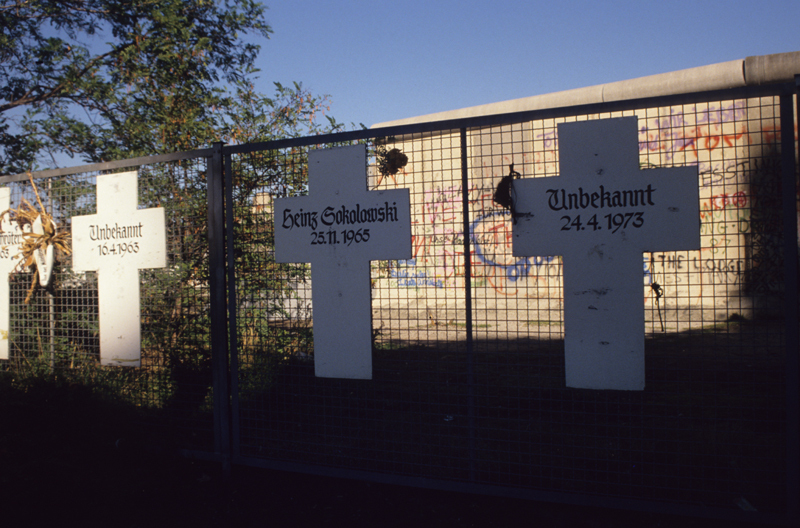 Description: In an area of the wall behind the remains of Reichstag, I stumbled upon an series of crosses , some which had wreaths from family members who lived on the west. When the city was divided families on either side of the long concrete divide were brokn apart. In all 1,065 people died while fleeing the GDR attempting to cross the wall. Some remain unknown.